Are Ultra HD Blu-rays dead on arrival? Does anyone give a 4K about discs anymore? Can Ultra HD Blu-ray find a niche? Ultra HD Blu-ray is confirmed, but who's going to buy it? After all, we've got Netflix in 4K. However, with TV shows dominating streaming services, there could be a place for a new disc format, especially since it's confirmed to have a 'digital bridge' that allows 4K movies to be transferred between a TVs, phones and tablets. In Europe, especially, Ultra HD Blu-ray's real challenge isn't Netflix, but a collapse in disc distribution. Ultra HD Blu-ray is almost here, but will it stay for long? When was the last time you bought any kind of disc? Or even used a USB flash drive? The world has gone over to the cloud en masse, with catch-up on BBC's iPlayer and streaming from Netflix and Amazon Instant now embedded in the home entertainment world. It's slowly transitioning to 4K, too. It may at last be confirmed as a live format, but can Ultra HD Blu-ray make a dent in a market that's quickly being built around streaming? Most presume the new format's main challenge is streaming, but it could be more cut-and-dry than that; the disc-selling business in Europe is in crisis. "The disc retail business is collapsing," said Paul Gray, principal analyst at IHS DisplaySearch, speaking in front of 400 journalists at the IFA Global Press Conference in Malta. "Finding any kind of discs from a video library or content catalogue is getting pretty hard these days," he added. "Typically the only place you can find Blu-rays or DVDs on sale is in the supermarket, where there's 20 or 30 from the latest catalogue." There is a reason for that; Hollywood is less actively marketing discs, as indicated by Paramount's recent deal with Universal Pictures to let the latter distribute its discs. For two rival studios, that's quite something. Read between the lines: selling discs is not worth our while. "Whenever a studio retracts from a market, it has the effect of sending a message to retail partners that physical, as a distribution platform, is being abandoned," says Gray. "This has knock-on effects throughout the physical distribution chain." Hollywood thinks digital delivery is the future. The knock-on of that attitude could well affect Ultra HD Blu-ray discs. 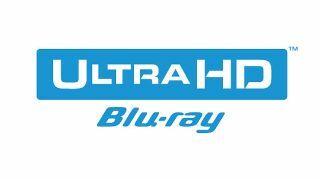 Licensing of Ultra HD Blu-ray is scheduled to begin this summer, with a spokesperson at the Blu-ray Disc Association (BDA) telling TechRadar this week the products "will enter the market in the 2015 holiday timeframe". The now-confirmed technical capabilities of Blu-ray are hard to argue with. Ultra HD Blu-ray will support data transfer speeds of 108/128Mbps, which is almost ten times greater than the 15.6 Mbps the HEVC/h.265 compression tech which allows Netflix to deliver a 4K episode of House of Cards. When it comes to the ultimate in consistent, high quality home cinema, Ultra HD Blu-ray will be unbeatable. We know that – there wouldn't be any point to it at all if it wasn't designed to be the best. There are other issues with Ultra HD Blu-ray that could limit its uptake. The format uses new kinds of dual and triple layer discs that will hold up to 66GB and 100GB of data. The current maximum a Blu-ray dual-layer disc can hold is 50GB. Not surprisingly, no Ultra HD Blu-ray disc will play in current Blu-ray players; only next generation players will output in 4K, though these new products will play current Blu-ray discs. As expected, Ultra HD Blu-ray decks will talk to your TV; when Ultra HD Blu-ray content is inserted into a next generation player, it will automatically detect the capabilities and features of the connected telly and output the most relevant signal. This applies to HD, and Ultra HD, the BDA told us, but would also apply to both High Dynamic Range (HDR) content on Ultra HD Blu-ray discs, something that some flagship TVs already available (such as from Sony) can handle.